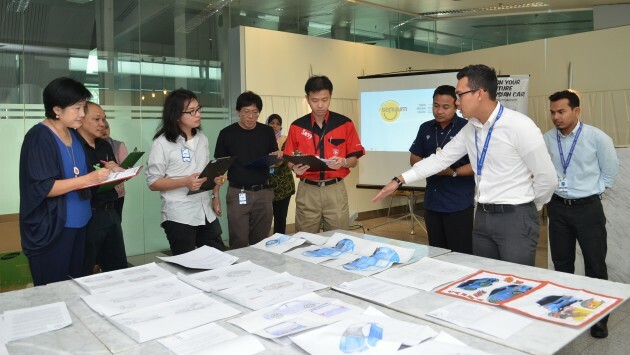 Submitted your designs for the Proton Design Competition 2014, which closed on August 18? Proton is currently shortlisting the submissions, both postal and online. In total, the company has received 337 entries from both categories. Category 1, open to entrants aged 13 to 17 years old, contained 158 submissions, while Category 2, open to those aged 18 to 25 years old, received 179 submissions. 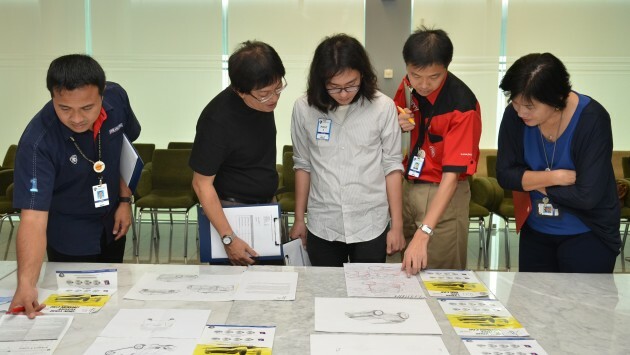 To recap, budding designers were asked to design a Proton city car for the year 2020. Entrants were required to submit coloured renderings depicting the 3/4 front, side and 3/4 rear views of their design, while those falling into Category 2 were also required to produce an additional coloured interior rendering. In addition, entrants had to submit a written proposal detailing their car’s design concept, unique selling proposition and proposed powertrain system. Given that this is first and foremost a design competition, submissions were naturally judged on their aesthetics and presentation, but specific emphasis has also been given to the originality and innovation of the designs. Two rounds of shortlisting were held on September 12 and 15, whittling the entries down to 58 in total – 36 for Category 1 and 22 for Category 2. Another round will see the top 10 emerge from each category before the winning entries are finalised. The judging panel included senior management from group communications, group marketing, branding and motorsports as well as product strategy. Also present were UiTM’s senior lecturer of industrial design Dr. Shahriman Zainal Abidin as well as Proton’s chief designer Azlan Othman. Anthony Lim and I were also on hand as representatives of paultan.org, the official media partner of the competition. The submissions we have reviewed were genuinely interesting, running the gamut from simple little runabouts to more audacious ideas such as flying cars and submersibles. The quality of the best of the entries was also very impressive. These entrants are in the running to receive MacBooks and cash prizes, while the winner in Category 2 also stands a chance to secure an internship with the Proton design team. The GSC already took soooo long to launch, the winning design will be made in production in year 2025 the earliest, IF this kerja kanak-kanak is accepted. Give an opportunity to kids and our teenager to show their potential definitely a good things. Adults here need to grow up. I rather take macbook and cash than be intern in Proton. Why need chinese idea? 1 malaysia mah. Malay mind only please. You are the kind of person that brings racial inharmony to the society, please don’t make this kind of racist remarks! Macai DAPigs. They talk kok when they calling us racist. Now i realize they’re also doing the same thing. Let the game begin. Just 337 people entered ? Wow, that’s a shame. I’d expect a few thousand at least. So many Malaysians always like to bash Proton for their ‘failed’ designs, but when Proton invited us to submit our own ‘perfect’ design and ideas, hardly anyone did. Because they don’t want waste time for plotong. open up to adults lah… why proton needs to limit to students? Yep. Plocong lack of ideas. . So need to con students for the job. Peylirno watch Japs mandi.. becoz 6 years selling butut in Japan. neway last time u oso said like this viva hit selling… so what?? what happen to viva owner now?? felt cheated? Viva cheated? You mean like the 8k+8k=16K discount given to Suprima right now? But the whole Proton stable have low RV. slowly climb to peak proton. no need to follow KIA style buy BMW engineers to do total-overhaule to their cars. Yes, slow slow never mind. Janji boleh sampai to the top in Malaysia sahaja. Never mind lah.. slow slow as long the Gomen protection is there.. The question i have is after announcing the winners, how soon can Proton make a real car from the design? No point having such contest & not building a real car from it as it will be a waste of time. I doubt Proton has the right people for the job. Looks like bunch of teachers in school hall meeting judging primary art competition. I do think to participate this contest but for nowadays the main selling point of car is design, then only define the performance from design and category. the design winner get a macbook and some cash, kidding? I guess it should give at least some cash on time and a production car from your design when the time comes right? I do remember the savvy name contest it do give away a savvy car for the winner.